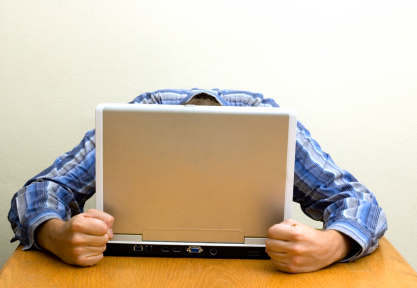 Electronics companies never publish information about the failure rates of their products. But there are some resources to help you figure it out. A recent report from Square Trade (an electronics warranty service company) shows that 24% laptops will fail in the first three years due to hardware malfunctions. 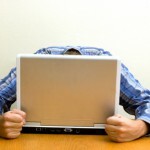 And netbooks fail 20% more than other laptops. The report lists individual manufacturers and their product failure rates – Asus and Toshiba ranked highest (least failures), and HP, Acer, and Gateway the lowest (most failures). Square Trade publishes failure rates on a variety of products, including iPhones, digital cameras, game consoles, smart phones, laptops. 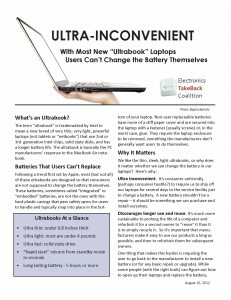 Read our report on Ultrabooks. Most have batteries that users are not allowed to replace. Find out which ones have user-replaceable batteries, and which ones won’t cancel your warranty if you do replace them yourself. Some repairs are surprisingly easy to do yourself. Don’t see yourself as a repair geek? The guys at iFixit.com think you don’t need to be a geek to replace the battery in your iPod/iPhone/iWhatever, fix the “red ring of death” on your XBox ($30 kit), or to make some other repairs. In fact they have some easy to follow, full pictures, step by step instructions for how to make some repairs and upgrades that will prolong the life of your gadgets. They have written repair manuals for thousands of electonic products, and are on a campaign to get the manufacturers to make their repair manuals public. Here’s their main repair manual page.